No matter what discouraging problems you may be facing today, Jesus Christ is greater. Nothing is too difficult for Him. 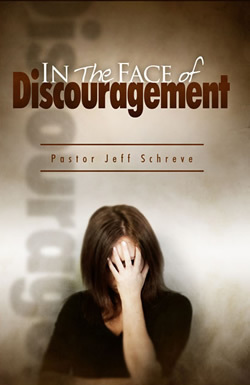 In this encouraging message, Pastor Jeff Schreve will share four life-affirming principles found in the book of Nehemiah that will help you understand the source of your discouragement, and discovery the victory that can be yours through Christ. Listen, God wants to work a great miracle of deliverance and blessing even in the Face of Discouragement. Don't let the devil win! Let God help you.